Fiber helps the digestive track perform at its peak, thereby allowing you to flush waste and toxins from your body and – voila – lose weight. But what many people don’t know is that fiber has many more benefits beyond weight loss. A recent study found that fiber may also lower your risk of dying from cardiovascular, infectious and respiratory diseases. A new study, recently published in the Archives of Internal Medicine, found that over a nine-year period, people who ate a fiber-rich diet decreased their risk of dying when compared to people who did not incorporate more fiber into their diet. The fiber study, which was performed by the National Institutes of Health and AARP, studied 219,000 men and 169,000 men from 50 to 71. The study showed that people who ate at least 26 grams of fiber were 22 percent less likely to die from cardiovascular, infectious and respiratory diseases than those people who consumed the least amount of fiber (13 grams or less a day). 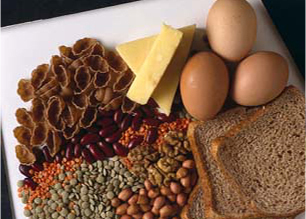 The study also showed that individuals who received their fiber from grains enjoyed the most benefits. The study did have its share of limitations, though, such as those people who ate more fiber each day were also likely to have better overall diets. The Federal dietary guidelines recommend that people following a 2,000-calorie-a-day diet should get at least 28 grams of fiber, but many people simply don’t know how to incorporate this much fiber into their diet. This is probably why most Americans consume just 11 grams of fiber per day, on average. The good news, however, is that the Food and Drug Administration now requires fiber to be listed on the Nutrition Facts panel on food labels, thereby making the task of consuming more fiber an easier one. Eating fiber-rich foods is the best way to consume fiber, as fiber supplements usually contain only a single type of fiber, such as methylcellulose and psyllium. Refer to the USDA’s food pyramid as a guide. If you follow the food pyramid and eat at least 2 to 4 servings of fruit, 3 to 5 servings of vegetables and 6 to 11 servings of whole grains and cereals each day, you will likely easily reach your goal of 28 grams of fiber each day. A great way to begin each day is with a bowl of fiber-rich cereal that is topped with fresh berries. Aim to eat cereal that contains at least 5 grams of fiber per serving. 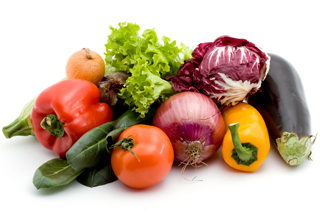 Raw vegetables are always a better source of fiber than their cooked counterparts, so go raw whenever possible. If you do cook vegetables, steam them lightly; don’t cook them until they are tender. Indeed, fiber is great for helping you to lose weight – and live much longer too! The Mediterranean diet has long been touted for its health benefits, so it comes as little surprise that this common diet followed throughout the world has been found to also lower the prevalence of metabolic disorders. This conclusion came on the heels of 50 studies and the results of the meta-analysis of those studies, as published by the Journal of the American College of Cardiology just this week. Individuals who followed a Mediterranean diet had a lower waist circumference. Individuals who followed a Mediterranean diet had lower high-density lipoprotein cholesterol. Individuals who followed a Mediterranean diet had lower triglycerides. Individuals who followed a Mediterranean diet had lower systolic and diastolic blood pressure. 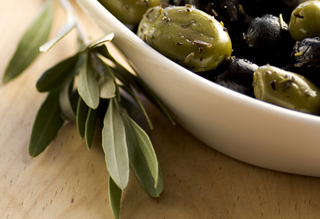 Individuals who followed a Mediterranean diet had lower glucose levels. Individuals who followed a Mediterranean diet had a lower risk of metabolic syndrome. The results were compared with individuals who were on control diets or those individuals who had a “low adherence” to a Mediterranean diet. The analysis of these 50 studies was performed by Demosthenes Panagiotakos, PhD of Harokopio University in Greece and published in the Journal of the American College of Cardiology. The combined studies in this analysis had over a half million participants. The notion of eating nuts and cooking with olive oil and/or canola oil is very important in the Mediterranean diet because the fats found in these foods are of the heart-healthy variety. Because they are still nonetheless high in fat, they should be enjoyed in moderation on the Mediterranean diet. It is important to consider, for example, that bread is enjoyed often in the Mediterranean diet, but it is always dipped in olive oil and herbs instead of butter or margarine. In short, the Mediterranean diet focuses on eating a well-balanced diet that is rich in fruits, vegetables, lean meats and whole grains. The fats eaten on a Mediterranean diet are usually low in saturated fat, thereby making this diet ideal for those individuals looking to maintain their weight, as well as their heart health. The Mediterranean diet doesn’t focus on fat consumption, but rather making better choices when it comes to the fats we eat. In addition, enjoying a glass of red wine a few nights a week has also been shown to decrease, in some studies, the risk of heart disease. So, have a glass of wine, a nice piece of fish with loads of vegetables and enjoy the company of friends and family! Your weight, palate and heart will thank you! A diet rich in vegetables is good for our health – and good for our waistline. In fact, the bulk and fiber found in vegetables can fill you up, leaving less room for cravings for sweets and unhealthy treats. However, saying we need to eat more vegetables and actually eating more vegetables are two very different things! Instead of using traditional pasta, make spaghetti squash “noodles” and top them with your favorite marina sauce. Puree a variety of vegetables (think cauliflower and sweet potatoes) and add them to breading, spaghettis sauce, ground meat and cream-based soups. This is a great way to get more vegetables into your kids’ diet! Make a casserole with a base of shredded vegetables. Add salsa over other condiments on everything from baked potatoes and burritos. Mash cauliflower and add garlic, Parmesan cheese and a bit of butter. Make an egg-white omelet with loads of fresh vegetables like peppers, onions and mushrooms. Chop and shred a number of vegetables at the beginning of each week so you can easily add them to your favorite dishes throughout the week without hassle. Cut strips of celery and carrots and keep them in water-filled containers in the refrigerator for a quick and easy snack. If you need a quick and easy way to get your vegetables, consider purchasing a juicer. Fresh-squeezed carrot juice is delicious and is a nutritious way to start your day. Spend a lazy Sunday afternoon making a big bowl of vegetable-based soup and freeze it to eat throughout the course of the work week. Instead of making meat the centerpiece of your meal, switch it up with vegetables. Make a large salad or mixed vegetables the main part of your meal, and your waistline will thank you for it! If you don’t think you like a certain vegetable, give it another try. Often times, adults won’t eat vegetables because they didn’t like them as children, but taste for food changes as we age, so give those vegetables another try! Purchase a wok and make a vegetable and chicken stir fry part of your weekly routine. Eat local and in-season vegetables. Awaken your senses by visiting your local farmer’s market and discover the many beautiful vegetable selections in your area. Who knew fennel bulb could be so delicious roasted, and that kale makes delicious baked chips? It is quite possible to puree vegetables into your favorite cake recipe. Add a cup of pureed spinach into your next cake, and you won’t even taste the difference! Get creative when you make a salad. There are so many great vegetables to add to salads, so don’t immediately add just tomatoes and onions or you’ll quickly get bored. Add crunchy toppings like rice noodles or sunflower seeds and spice up your salad! Sautee or steam fresh vegetables and add a variety of herbs and spices to make things exciting. Make a veggie pizza. Make a white pizza with tomatoes, onions and other vegetables or make a sauce-based pizza and load it up with vegetables instead of meat. Vegetables can be an easy, delicious part of all your meals, especially with these tips! It is no surprise that processed foods are a major culprit surrounding our overweight country. As a result of the consumption of processed foods, we have become a country addicted to refined sugars, processed starches and deep-fried foods. The packaged, processed foods we eat have changed the way our bodies function and, perhaps more importantly, what we crave. To combat this trend, many people are turning to raw foods as a way to get back to basics and eat naturally. In addition to being great for our overall health, the consumption of raw foods may help us lose those extra pounds, as raw foods naturally have fewer calories and fat than processed versions. Instead of turning to processed foods – even processed and packaged diet foods – people are now turning to all natural foods. Although turning to an all-raw diet may not be realistic for all people, including more raw foods in your diet on a daily basis may help you feel better, have more energy, encourage better digestive health and, of course, lose weight in the process! In addition to weight loss, some of the other obvious benefits of eating raw foods include: softer skin, younger looking appearance, clearer complexion, stronger hair and nails, and even decreased incidences of illness and disease. The theory behind eating raw is quite simple: raw foods eliminate toxins in our bodies, including fats that have built up over the years. Raw foods provide a detoxing quality, which therefore helps us feel better, look better and lose weight. The goal of eating raw is to slowly introduce raw foods into your diet. Most dieticians agree that you can see major changes in your body and overall health by simply replacing some of your food choices with raw ones. Whether you begin by replacing raw foods with cooked ones for your breakfast, lunch, dinner or early morning snack, the important part is to make a change. Make leafy greens a large part of your diet. Whether it’s eating a big salad with leafy greens for lunch or adding a vegetable juice smoothie (with loads of greens) into your morning routine, leafy greens should make their way onto your plate at least once a day. In addition to being nutrient dense, leafy greens are also a fantastic source of fiber, which aids in the body’s natural digestion process. Regardless of whether or not you’re eating raw, avoid eating late at night. Anything eaten a few hours before you go to bed will not be digested as well as food eaten earlier in the day. Try new foods. Eating raw will quickly get tiring if you eat the same foods day in and day out. Therefore, the best thing to do is experiment with new fruits, vegetables, nuts and legumes. Head to your local farmer’s market, make smoothies and enjoy what nature has given us! Eating raw foods means enjoying what Mother Nature gives us naturally, which is significantly lower in fats, calories, and sodium than the processed version. Now that’s good news for your weight and health! How long can we realistically live? And how does our diet affect how long we will live? These questions have been once again raised following David Murdock’s plans to live to be 125 through a strict diet. Now 87, Murdock is undoubtedly a specimen of health. According to Murdock, has never experienced any physical ailments — even colds or headaches. When an unbelievably healthy 87-year-old man claims he can live to be 125 based on diet alone, it’s worth a moment of listening! How does Murdock live that differs from most our lifestyles? He consumes as many fruits, vegetables and protein sources into his daily diet as most of us manage to do during the entire week. For example, he eats as many as 20 vegetables and fruits daily, pureeing them into smoothies he drinks two to three times each day. He also eats loads of protein in the form of cholesterol-free egg whites, nuts, beans, and seafood. However, his diet is absent of red meat, poultry, and dairy altogether. Also forbidden in his diet are alcohol, sugar and salt. Perhaps it was his mother’s death from cancer at the age of 42 that led Murdock to examine optimal health and maximal life span, or maybe it was his wife’s diagnosis of ovarian cancer at any early age. What we do know is that the idea of nutrition was planted when he started researching ways in which his wife could treat her ovarian cancer. Although his wife, Gabriel, also lost her life early to cancer (she was just 43), Murdock continued to consider the strong link between health, nutrition and longevity. 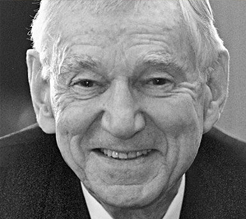 Murdock’s passion for healthy eating was further realized when he dedicated an area behind his California ranch to tens of thousands of square feet of greenhouses. He now has a large staff of gardeners who tend to the produce grown there. Murdock’s influence is seen throughout his companies, including at the Dole headquarters in California. From a company fitness center to a subsidized cafeteria bursting with fresh food, Dole is a fine example of healthy living. Dole is now the world’s largest producer of fruits and vegetables. In addition, the California Health and Longevity Institute, which is across the street from the Dole headquarters, is a combined medical suite, spa and demonstration kitchen. Although Murdock’s quest to live to be 125 is more a dream than a realistic goal, there’s one certainty: his research and passion for learning more about the benefits of a healthy diet will go on to help generations lead healthier, longer lives. Both men and women overwhelmingly agree that the biggest trouble area on the body is the waist. Whether it’s referred to as the “pooch,” the “love handles,” or the unattractive “muffin top,” it’s all the same: extra weight on our waistline! Lean chicken – We love lean cuts of chicken, like the breast, because it is high in protein and low in fat. Chicken is easy to prepare, most people like the taste, and it’s affordable when compared with other types of meat. Chicken helps us maintain our muscle mass and rev up our metabolism, which helps reduce the bulge along the waistline. Tuna – Canned tuna is an affordable food for individuals looking to shed weight around the waistline. Because it is canned and precooked, it requires no refrigeration, thereby making it a popular on-the-go meal choice. Plus, it’s low in fat and high in protein, like chicken, which makes it the ideal food for trimming the waistline. Make sure you choose light tuna canned in water, however, to make it the healthiest choice. Dark greens – Those dark, leafy greens don’t just make a good salad base; they are also fantastic “ruffage” for shedding pounds. Leafy greens, such as spinach, kale and romaine lettuce, for example, are nutrient dense and contain little calories. Plus, they are high in fiber, which helps to improve your digestive health and reduce bloating around your waist. 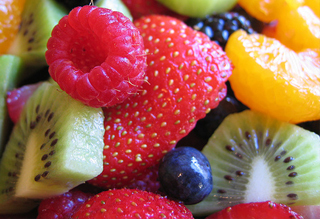 Fresh fruit – Here’s another great example of food that fills you up, but doesn’t add inches to the waist. Fruit, even though it contains natural sugar, is high in fiber, which encourages proper digestion, and therefore reduces bloating around the waist. Oatmeal – Oatmeal is a powerhouse when it comes to fiber. If you haven’t already caught on, it’s all about fiber when it comes to trimming the waistline. Oatmeal, in addition to being high in fiber, contains slow-burning carbohydrates. In other words, it takes a long time for the body to burn, which makes you feel fuller and more satisfied for a longer period of time. Heart-healthy oils – We love the healthy oils, like olive oil and canola oil, because they are an excellent source of omega-three fatty acids and vitamin E. These healthy fats, in addition to being good for your heart, may actually trigger the burning of body fat, thereby helping to trim the waistline. Low-fat dairy products – In addition to the many obvious benefits of low-fat dairy products, such as strong bones and teeth, foods like skim milk and yogurt also play a big role in keeping our weight at bay. Calcium is thought to prevent weight gain because it increases your body’s ability to break down and burn fat. If you have extra inches around your waist, one of the best things you can do is indulge in a large glass or two of non-fat or low-fat milk every day! Indeed, eating delicious, healthy food can trim your waistline! Who knew it could be so easy and tasty? We think we’re serving our bodies by eating well, exercising often, and grabbing a diet soda instead of its sugary, calorie-laden counterpart. 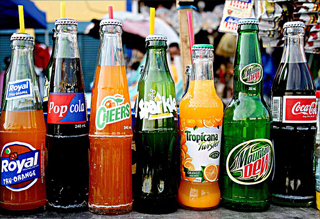 However, are diet sodas actually helpful for your diet? Researchers have put this question to the test. Recent studies reported by USA Today suggests that it may not be very healthy after all to drink calorie-free, carbonated soft drinks. In fact, a recent study found that people who drink diet soda every day may be at an increased risk of stroke and heart attack over those who don’t drink soda. Wait — wasn’t the whole concept of diet soda to reduce our caloric intake and therefore decrease our risk of disease? Although the abovementioned study was simply an observational study, it should prompt us to reconsider drinking diet soda, especially if we want to reduce our waistline and maximize our health. If you’re confused about this contradicting information, you’re not alone. Once considered to be the gold standard when it came to dieting, diet sodas are now under fire for doing just the opposite. Some nutritionists point out that there are better drinks than diet soda when it comes to maintaining your weight, such as water, unsweetened or light sweetened tea, and coffee. They are quick to point out, however, that diet soda is still a better choice over calorie-rich drinks such as regular soda, fruit juices and fruit cocktail drinks. One of the studies conducted about diet soda points out another potential problem: Individuals who drink diet soda are not more likely to choose unhealthier foods. For example, have you ever seen the person who orders a Big Mac, large French fries and a diet soda? You get the idea: a diet soda, when consumed with unhealthy foods, is clearly ineffective. In other words, it’s not necessarily the diet soda that’s hurting your waistline. It’s what you choose to eat with that diet soda. Some researchers urge consumers to not consider diet soda a “health food” simply because it has no calories. In particular, there are still concerns over whether the artificial sweeteners aspartame and acesulfame potassium are harmful to our health, especially when consumed daily. Also under fire is caramel coloring, which some experts say contains two cancer-causing chemicals. Finally, amidst everything else, some recent studies have suggested that the artificial sweeteners in diet soda actually cause our sweet tooth to go into overdrive and make us crave unhealthy foods! A general rule of thumb, says many experts, is to limit your intake to no more than 12 ounces of soda (diet or otherwise) a day, and instead choose water, low-fat milk tea or coffee. If you are drinking so much soda that you are eliminating other healthy drinks from your diet, such as water and milk, you are probably overdoing it. However, as part of a healthy, low-fat diet, a diet soda may be a smarter choice than other sugar-laden beverages.